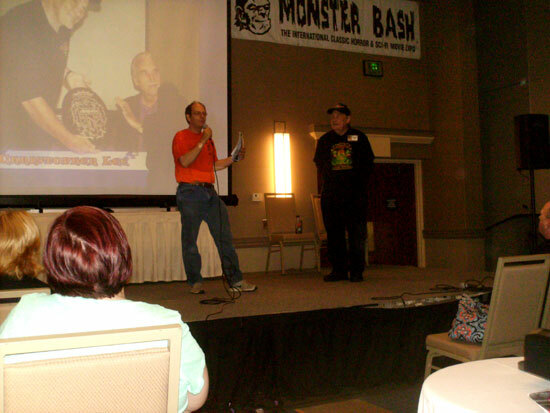 The Monster Bash 2013 featured Guests of Honor Valerie Leon, Ron Chaney, Wes Shank, Kris Yeaworth, Victoria Price, Greg Mank, The Abbott & Costello Ultimate Tribute Show, Tom Savini, John Russo, George Kosana, Kyra Schon, Cortlandt Hull, Chilly Billy Cardille, David "The Rock Nelson," Son of Ghoul, Mr. Lobo, and many others! Photos provided by John Tatarelli, Jr., Ron Adams, Ursula Adams, Leonard Hayhurst, Phil Smoot, Malcolm Gittins, Paul Speidel, Charlie Arrigo - thank you! 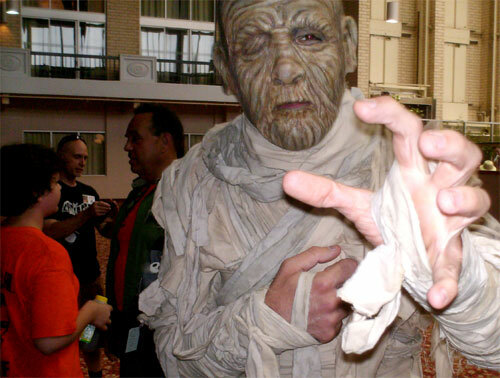 Cajun Joe and Kharis, The Mummy get ready to MONSTER BASH! 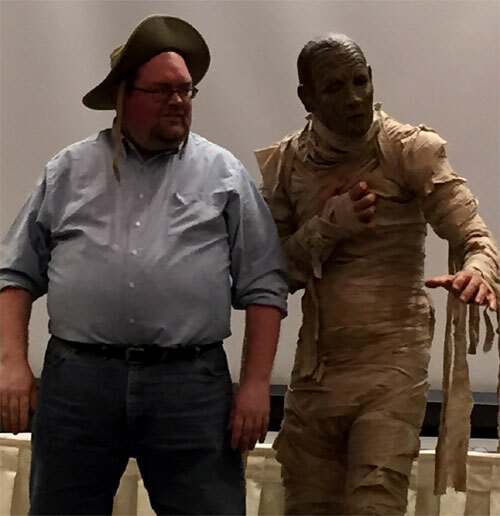 Leonard Hayhurst and Thom Shubilla in Mummy costuming and sculpted mask by John Tatarelli, Jr.
Ready for action on stage. Guest of Honor Ron Chaney (Lon's grandson) and Paisley Adams. Paisley assisted Ron at his table for some oft he show. 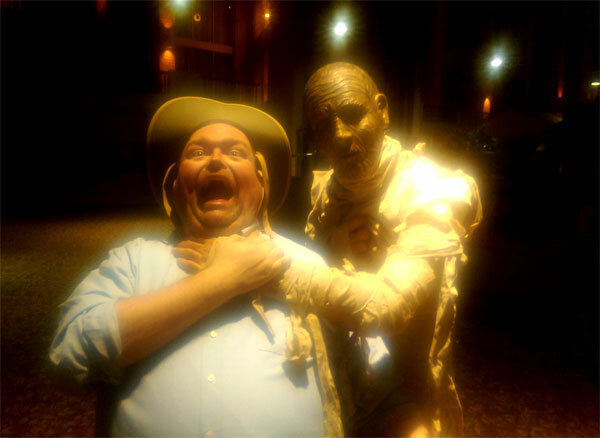 Meanwhile out in the hotel lobby, show promotor Ron Adams is down for the count after an encounter with The Mummy (Thom Shubilla). The Ultimate Abbott & Costello Tribute Team (Bill and Joe) look on in dismay. 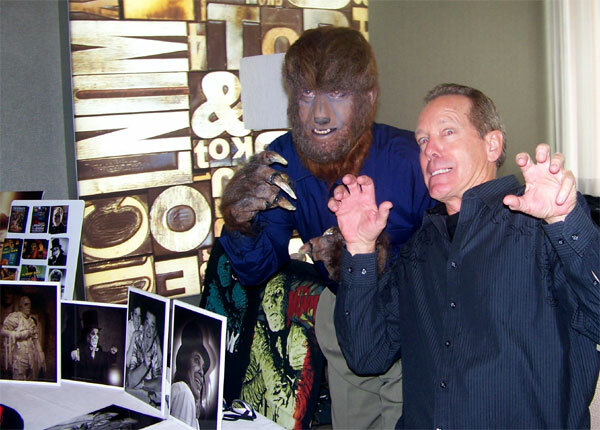 Ron Adams caught between The Wolf Man (Charlie Arrigo in make-up by Ron Chamberlain) and a roaming Frankenstein Monster. Mummy's Boys and Girl! 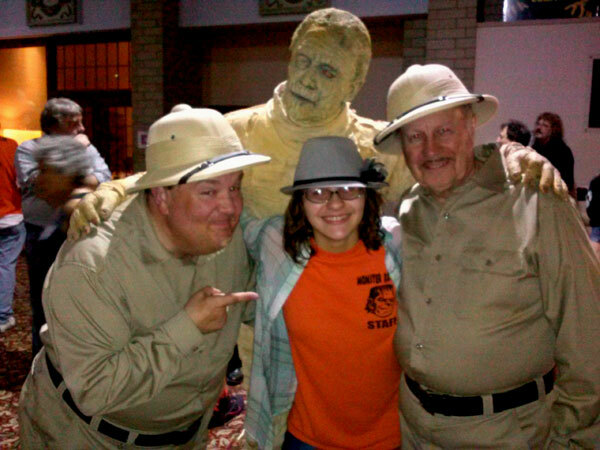 It's Kharis, The Mummy (Ron Chaney in make-up by Ron Chamberlain) with The Ultimate Abbott & Costello Tribute Team (Joe Ziegler and Bill Riley) along with Paisley Adams (center). 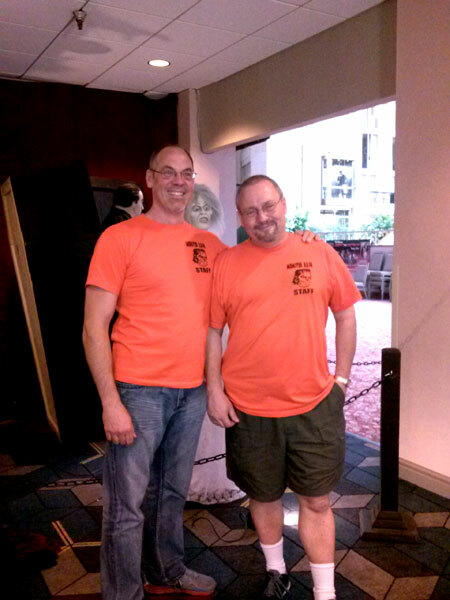 Monster Bash staff excellence: Mike Adams and Bob Pellegrino. You can just see the head of the witch from BLACK SABBATH that was part of the great Jerry Armellino display in the lobby. 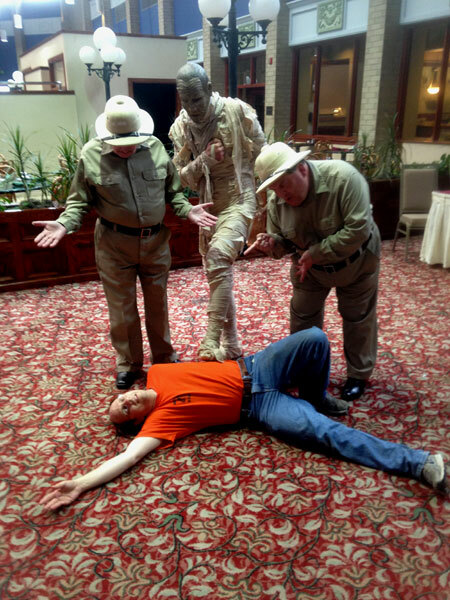 The Mummy gets his cookie! Video above. 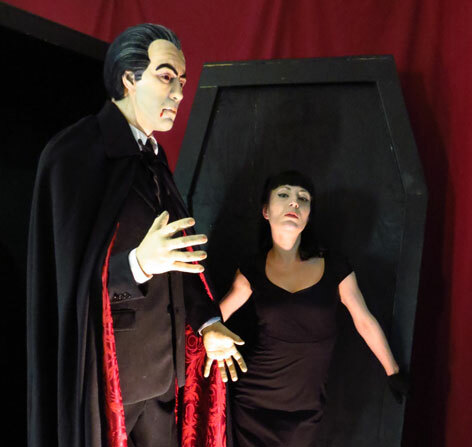 Christopher Lee (figure by Jerry Armellino) and Mandy Danger at Monster Bash. 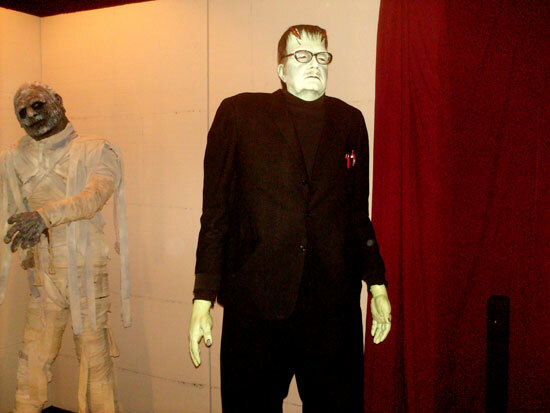 The Frankenscience Monster - Forrystein, and ol' pal Kharis. Figures by The Armellino Family! 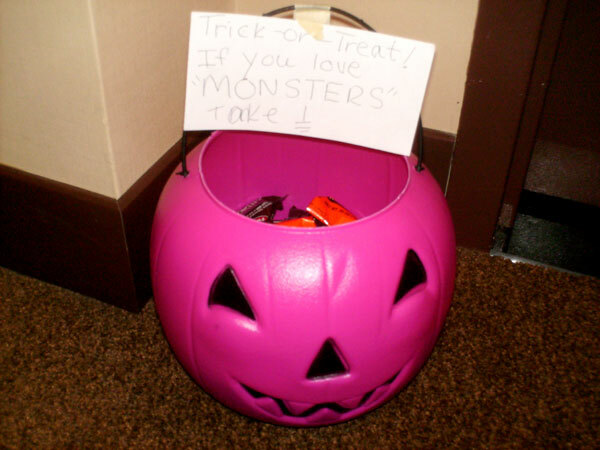 Some folks decorated their hotel room doors and this one had free candy "If you love monsters, take!" Free candy bars. The spirit of Monster Bash. Ron Adams introduced Cortlandt Hull on stage. A figure of Boris Karloff from THE RAVEN (1963) by Jerry Armellino. 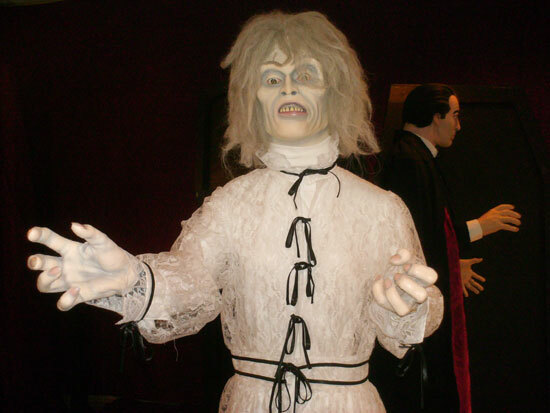 The super creeped-out witch from the "Drop of Water" segement of the film BLACK SABBATH. 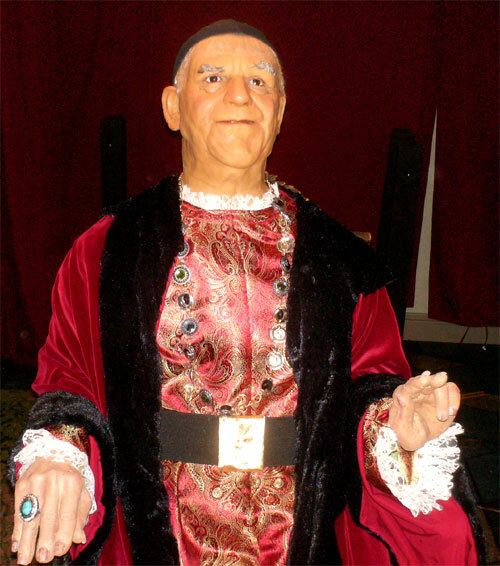 This figure was made by Jerry Armellino. 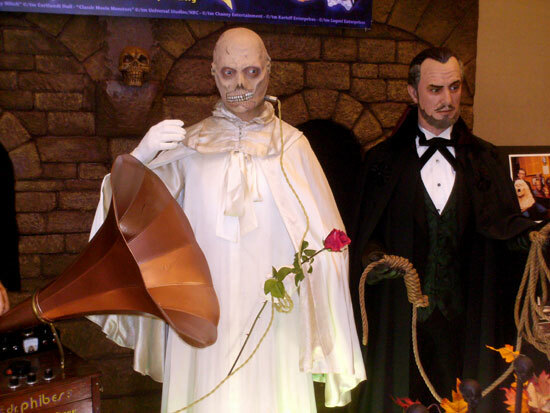 Vincent Price was well represented at MONSTER BASH thanks to Cortlandt Hull and The Witch's Dungeon. 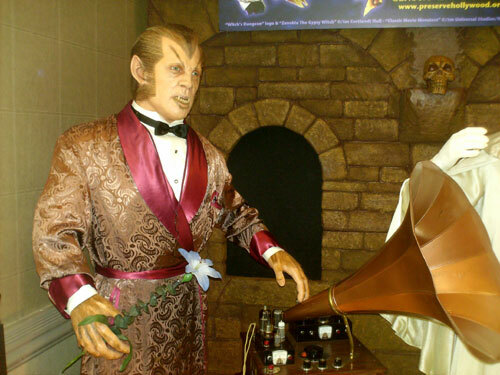 The WEREWOLF OF LONDON enjoyed some old tunes at The Witch's Dungeon booth at BASH! 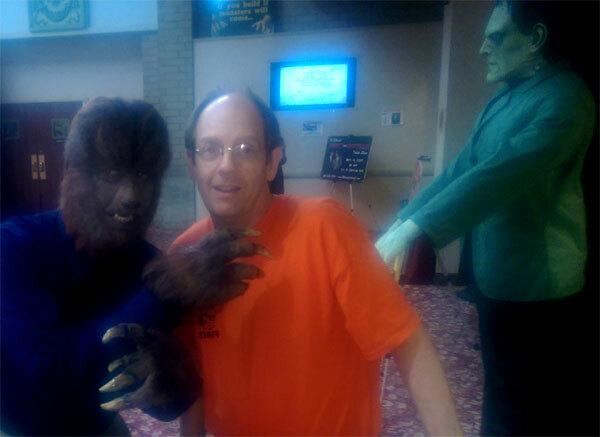 Ron Chaney and attendee Paul Speidel having a great time at MONSTER BASH! Attendee Paul Speidel with the ever lovely Valerie Leon (star of BLOOD FROM THE MUMMY'S TOMB). 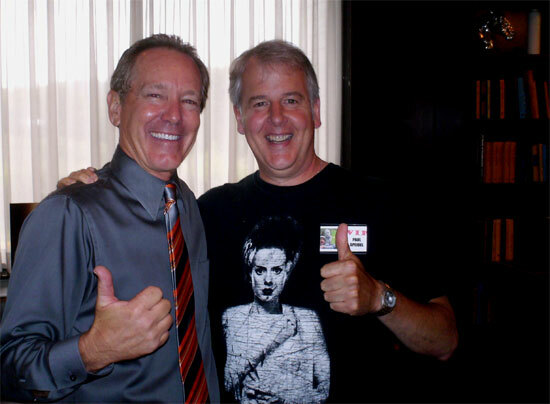 Paul Speidel hangs out with all the cool guests! 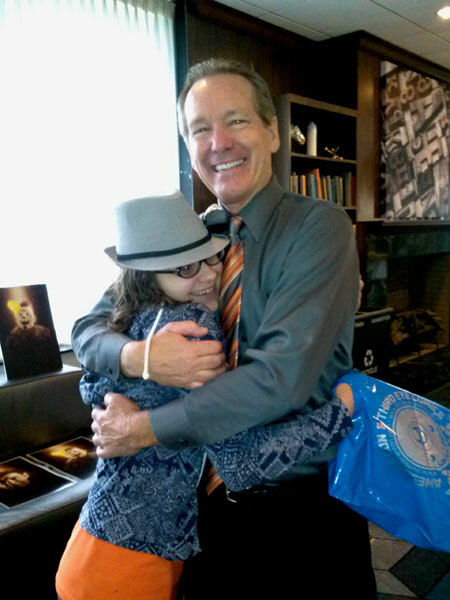 This is Paul and Vincent Price's little girl - Victoria! 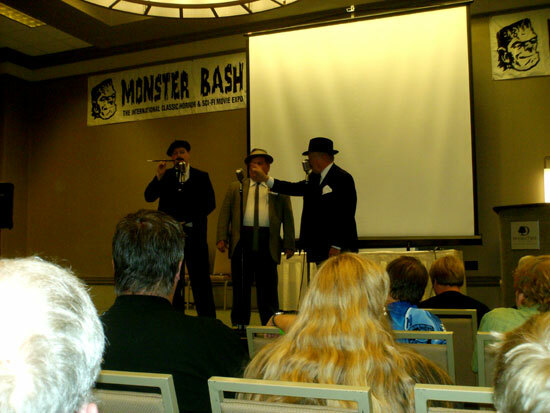 The Ultimate Abbott & Costello Tribute Show on stage at MONSTER BASH! 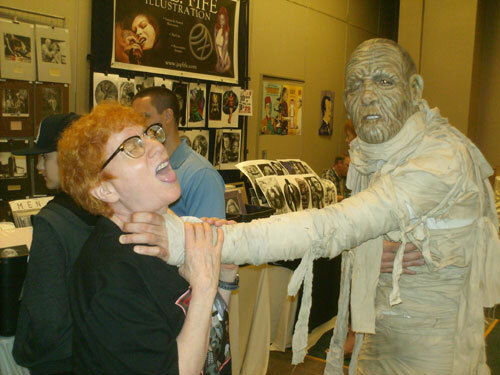 Attendee Eileen Wolfberg caught by Mummy run amok in MONSTER BASH dealer ballroom. 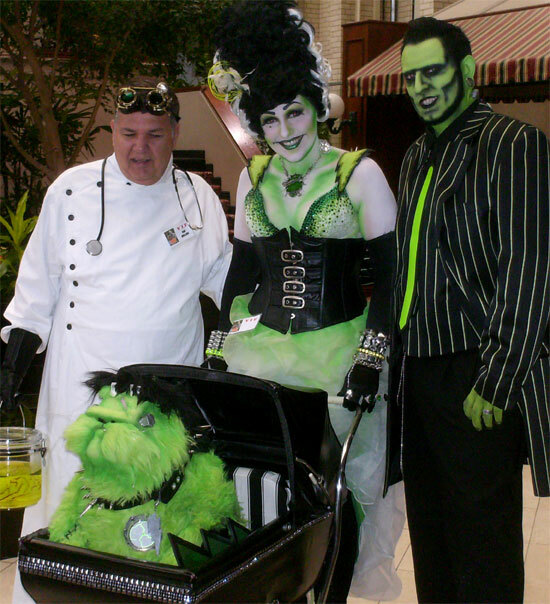 It was nice to see families from all walks of life enjoing MONSTER BASH! 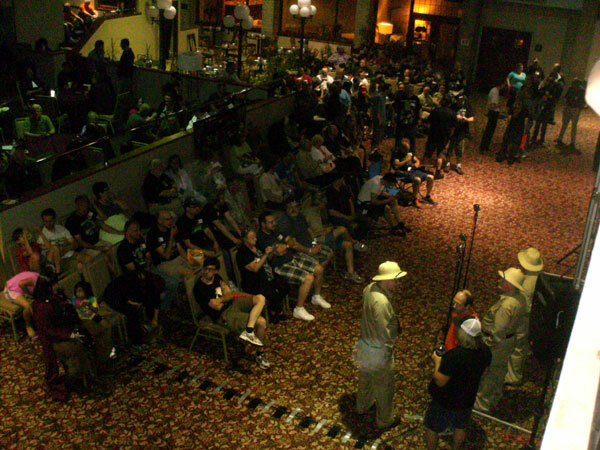 Just a slice of the packed lobby on Saturday night at MONSTER BASH. 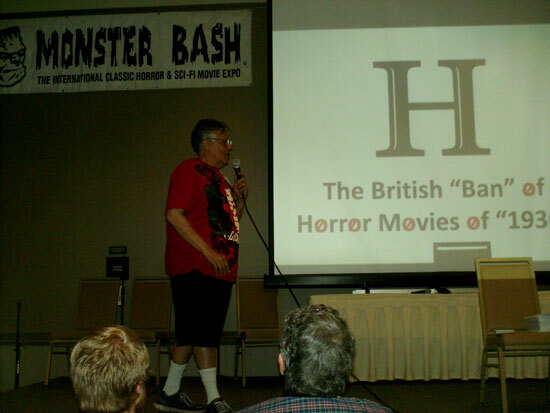 Author Frank Dello Stritto gives a most entertaining talk on the Britsh Ban on Horror Movies and made it interactive with handouts and a humerous presentation that had the crowd captivated! Valerie Leon and The Mummy (Tod Spidle) go nose-to-nose on stage! 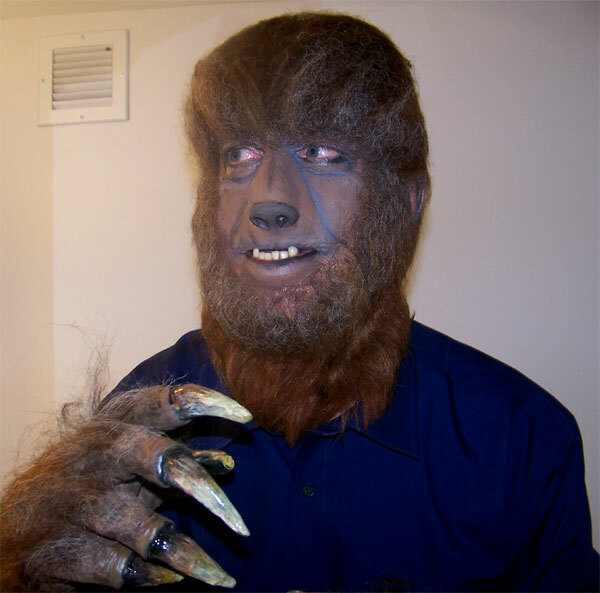 Charles Arrigo as The Wolf Man. Make-Up by Ron Chamberlain at MONSTER BASH. 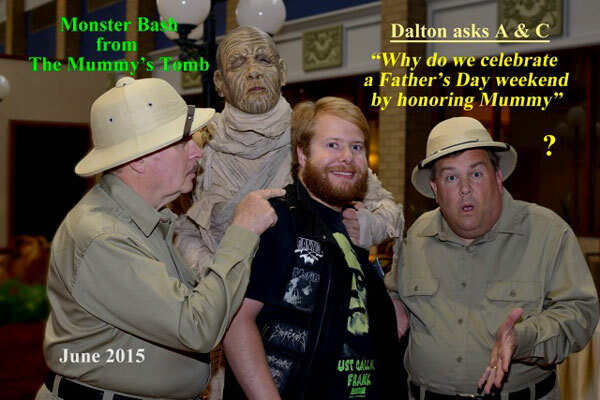 Charles Arrigo and Ron Chaney chew-up-the-scenery at MONSTER BASH June 2015!.